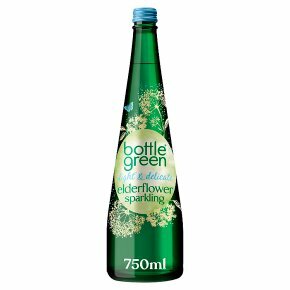 Elderflower sparkling pressé is a deliciously fragrant soft drink blending hand-picked elderflowers and lightly sparkling Cotswold spring water. Our Hand-Picked Elderflower Sparkling Pressé contains a blend of carefully selected, high quality ingredients. Free from artificial flavours, colours and preservatives. Non-alcoholic. Suitable for vegetarians and vegans.Discover the light delicate taste of hand-picked elderflowers and lightly sparkling cotswold spring water. Best served chilled over ice, perfect for garden parties or as a refreshing drink with your meal.